Get the New Mommy’s Sippy Cup (TM). The Mommy’s Sippy Cup is a clear plastic wine glass inside an Adult Sippy Cup!! No Spills While On-The-Go & BPA-Free! 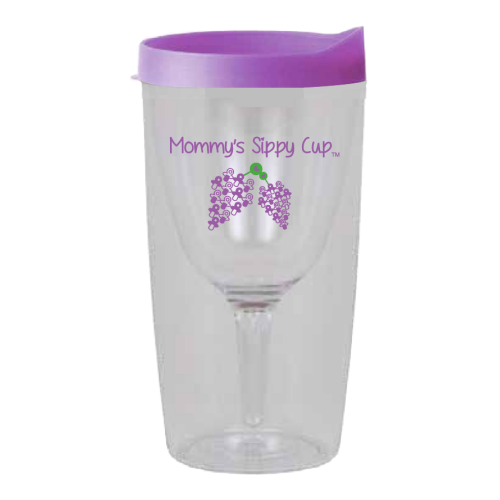 The Mommy’s Sippy Cup has grapes that are created by using purple pacifiers and green rattles for the stems! Perfect for Grape Juice while on-the-go or Wine after your long day of being a Mom! Available with a Purple Lid Only.